Your local skip hire & waste removal company. For professional and affordable rubbish removal in Paisley there is no better choice than Main Waste Solutions, your local junk removal company. Many homes within and around the Paisley & Glasgow areas currently struggle with limited rubbish collections provided by their council in addition to the annual spring cleans, shed, garage and house clearances. Our rubbish removal service not only provides disposal of excess rubbish, as our team do all the lifting, loading and recycling so you don’t have to. Our service is a convenient alternative to skip hire in Paisley and surrounding areas. If you lack the space for a skip and need the rubbish removed quickly, then Main Waste Solutions rubbish removal service is just what you need. With a Paisley based depot, we can easily provide rubbish removal in Glasgow, Bearsden, Newton Mearns, Renfrew, Barrhead, Giffnock, Johnstone, Houston, Neilston, Bishopton, Bridge of Weir and Kilmalcolm. Being an established, licensed rubbish clearance company with sustainable disposal solutions, our dedicated Junk clearance team can collect all of your waste and recycle about 70%. Our rubbish clearance service covers a range of waste types including: furniture, chairs, sofas, electrical appliances, freezers, confidential waste, general junk and garden clearance. In addition to general house and office rubbish removal, our company can also offer a garden rubbish removal and clearance service. This service is ideal for people who plan to tackle the tidy up of a property they have just purchased and looking to have the garden landscaped. Typically there tends to be a lot of junk or a rotten shed left within all the over-grown brambles and plants that we can remove once gathered. Call us on 0141 438 2315 and we will assess your rubbish removal requirement and provide you with a no-obligation quote. Payment is taken in advance of all collections. Our professional team will arrive within the agreed time slot and remove all of your rubbish and load it onto the Main Waste Solutions vehicle. All of the rubbish collected will be sorted at our facility to maximise the recycling rate. Currently our recycling rate averages about 70%. 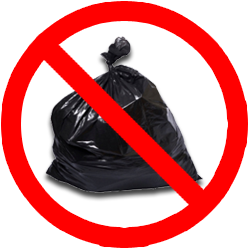 For a full list of our waste disposal prices please click on the link below. Should you require a skip for progressive rubbish removal over a weekend or week than we have a range skip sizes and competitive prices. Please click on the link below for a full list of our skip hire prices. Over 70% of waste collected by Main Waste Solutions is diverted from landfill by recycling or reused by giving to local charities.